Cathy's professional background is in Social Work, student support and research aimed at enhancing student equity in higher education. She was an inaugural Equity Fellow during 2016 with the National Centre for Student Equity in Higher Education, where she is currently an Adjunct Fellow. Accredited as a Mental Health Social Worker with the AASW, Cathy has a long standing interest in and commitment to student equity, widening participation and improving the student experience for increasingly diverse university student cohorts. Her doctoral dissertation was on the experiences of mature-age students entering university via an enabling program. Cathy has continued to be an active researcher, examining the experiences of mature-age, first-in-family, and online students, in which she has a number of publications. Following nearly 20 years in management and counselling within Student and Academic Services at the University of Newcastle, Cathy worked with Open Universities Australia as the Director of Student Success until the end of 2014. Cathy is a recipient of a Carrick (later known as OLT) Citation for Outstanding Contributions to Student Learning for her role in developing innovative student mentor programs. 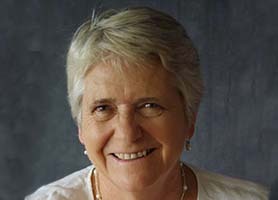 Cathy is a life-time member and Fellow of the Australian & New Zealand Student Services Association (ANZSSA), having served as its President for the maximum four-year term from 2004-2007. From 2010 to 2018 she was co-editor of ANZSSA's professional journal, JANZSSA. Cathy also works as a private consultant in student success in the higher education sector. Research into the experiences of mature-age, first-in-family and online students. There is a wealth of both anecdotal and sound research evidence which demonstrates a clear link between a student&apos;s engagement with their learning community and their academic outcomes. Having a sense of connection and engagement with the institution, through their contact with lecturers, fellow students, other university staff, can make all the difference between persistence and academic success; and disillusionment, disappointment and abandonment of studies. With the expansion of on-line studies an additional challenge for all of us working with tertiary students, is to develop a better understanding of the needs of those who are studying solely in an on-line environment. We need to learn more about ways in which we can successfully engage and support students whom we may never meet face-to-face. This paper discusses some of those challenges for the Student Experience Unit at Open Universities Australia and the strategies being developed in order to meet them. Dr Cathy Stone has secured a prestigious 2016 Equity Fellowship from the National Centre for Student Equity in Higher Education.